'Ladies First' is no ordinary story, it is the First Original Netflix Documentary (it is now out on Netflix) that chronicles the life, the struggles, the journey of India's first female world champion archer Deepika Kumari, hailing from the village of Ratu, Jharkand who went on to become World No 1. Directed by debutant director, Uraaz Bahl and produced by Shaana Levy Bahl, Ladies First has bagged 16 international awards at festivals like Focus, Los Angeles Film Awards, London Film Awards, New York Film awards and more. 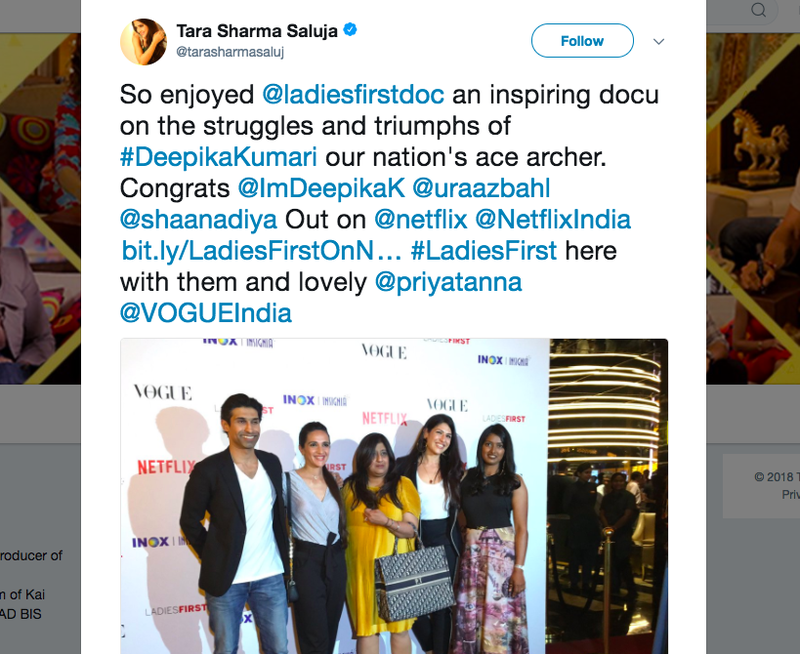 Therefore it comes as no surprise to see that celebs like Karan Johar, Shweta Bachchan Nanda, Abhishek Bachchan, Sachin Tendulkar, Yuvraj Singh, Lisa Ray, Rahul Bose, Milind Deora, Tara Sharma Saluja, Abhinav Bindra, Joydeep Karmakar and many more have been tweeting, speaking and supporting the first Original Netflix Documentary. 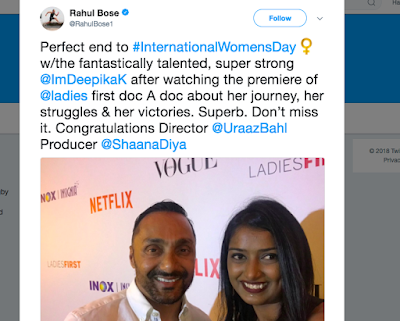 Karan Johar tweeted that, "This #WomensDay we don't need to look elsewhere for inspiration. Our very own #DeepikaKumari's story needs to be heard, and I'm so glad to be watching #LadiesFirst today." 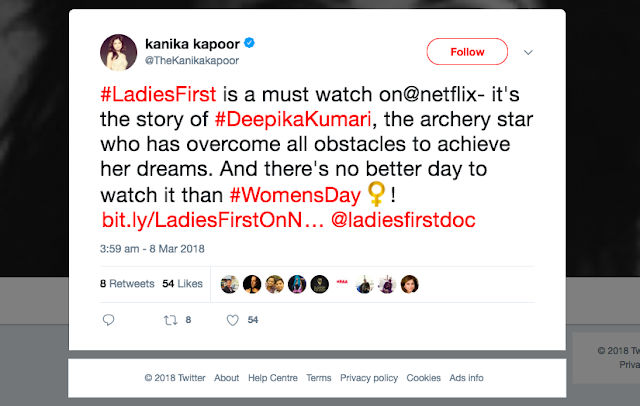 Abhishek Bachchan said that, "It’s about time we put #LadiesFirst and no story better conveys that than #DeepikaKumari - a woman who has conquered all odds to bring pride to our nation. Give it a watch! " Shweta Bachchan Nanda said that, "Because more stories like hers need to be told! 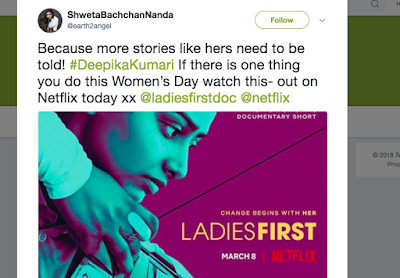 #DeepikaKumari If there is one thing you do this Women’s Day watch this- out on Netflix today"